Usually these figures are well-respected local jumpers, and or national- and world-class competitors. They use their vast knowledge, experience, and personalities to create a fun and inviting atmosphere for less experienced jumpers to generate revenue for the DZ. They do this by acting as a “jumping concierge”. By engaging and jumping with newbie’s, introducing jumpers to one another, addressing safety issues and DZ rules, as well as jumping as much as possible, all the while coming up with fun and challenging jumps. The number one priority is fostering an inclusive atmosphere, especially for visitors and jumpers new to the sport. Participation in this course is no guarantee for hire, but it will get you on the right path and understanding of what the job description and demands of this line of work are. 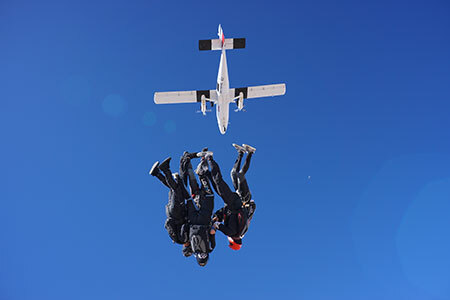 Load organizers can specialize in one of several disciplines, such as: belly (FS), free-flying, angle-flying, wing-suiting, canopy flocking, and many more. 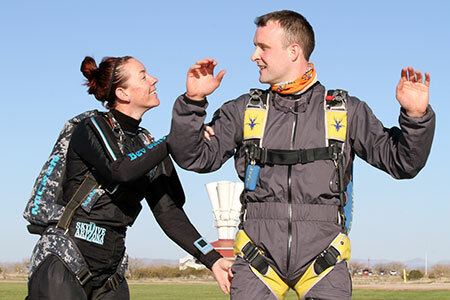 Brianne Thompson oversees the Load Organizer program at Skydive Arizona. If you would like to apply for a position, have questions, or would like to receive training to better qualify you as a candidate, please contact her at brianne [at] axisflightschool.com. Competition experience in your chosen discipline is preferred, but not required. 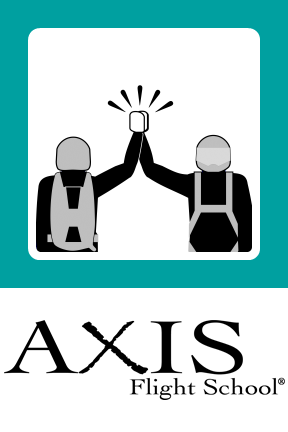 Recipient has demonstrated the following to the satisfaction of an AXIS Coach™: a) USPA C License, b) USPA Coach Rating, c) Proficient Wind Tunnel Flyer, d) Logged 500+ jumps, e) People Skills, f) Competition experience in chosen discipline.